I’ve used different shampoos and conditioners, with varying results. I’ve tried oils for beards and oils intended for salads and didn’t like them one bit. 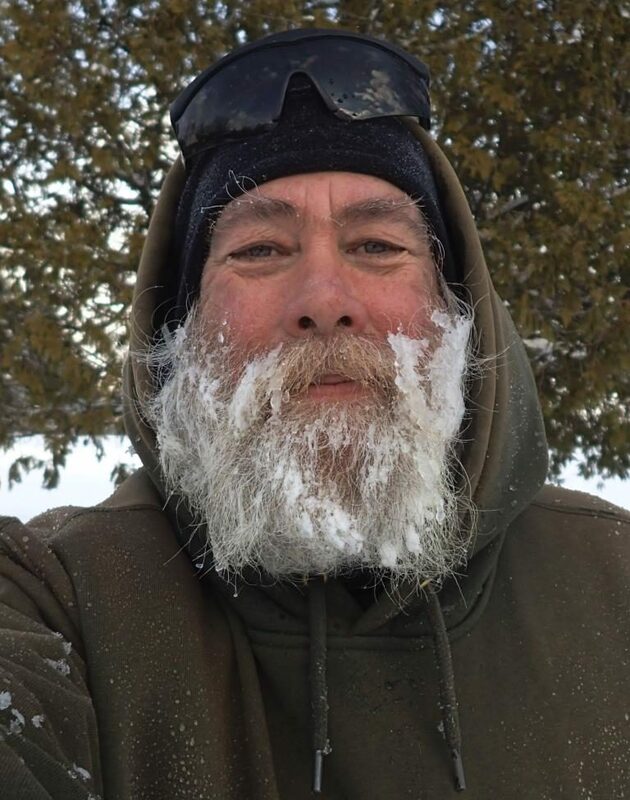 Fly-aways, split ends and breaks were just a price to pay for having a hairy face when the nights turn hoary — until I saw a display at the Vermont Country Store last December, featuring beard balm from Feared Beard VT. Beard balm sounds funny to say, at least to these modern ears, but the tradition goes back thousands of years and after a few days its charm and benefits were apparent. As a fan of patchouli, I’d gone home with a tin of Burlington Burnout and not only did it remind me “of that time I can’t remember,” — just like the copy on the web site says — but my beard stayed the way I put it when combed and developed a shine. After a good, hot shower and shampoo, Feared Beard balm really soaks in and doesn’t feel heavy or greasy. The scent didn’t scare the cats and it made Mrs. Gordon smile so I went down the hill again the next week, to pick up a tin of their Frosted Woods. “Chock full of pine and spearmint,” it made my beard smell minty-fresh, making it a good alternative for occasions when one might be around others not so fond of patchouli or likely to question the motives of those who wear it. Melts in your hand, not in your mouth. Seriously, don’t put it in your mouth. Remember, these are scents, not flavors, and Feared Beard’s Natural beard balm doesn’t smell like much of anything. It is their base formula, with no fragrant oils. Some people may experience mild skin irritation with some fragrant oils and this is a good choice for them. Or, maybe you don’t want anything to interfere with other scents you like to wear. Of course, sometimes the best choice is no scent at all. Made from shea butter, coconut oil, beeswax, and the seed oils of jojoba, grape, moringa, baobab and hemp, as well as other ingredients, depending on product, Feared Beard VT‘s beard balms use organic raw materials whenever possible and are 100% natural. More about their ingredients can be found here. Two other scents are available, Lifted Lavender (with rosemary and juniper!) and Citrus Orchard (“you’ll feel as though your beard is living the life of luxury”), both of which I intend to add to my repertoire, if only for myself. After all, if they’re going to cover half my face and hang out below my nose, those whiskers ought to smell nice, too. A little bit goes a long way. 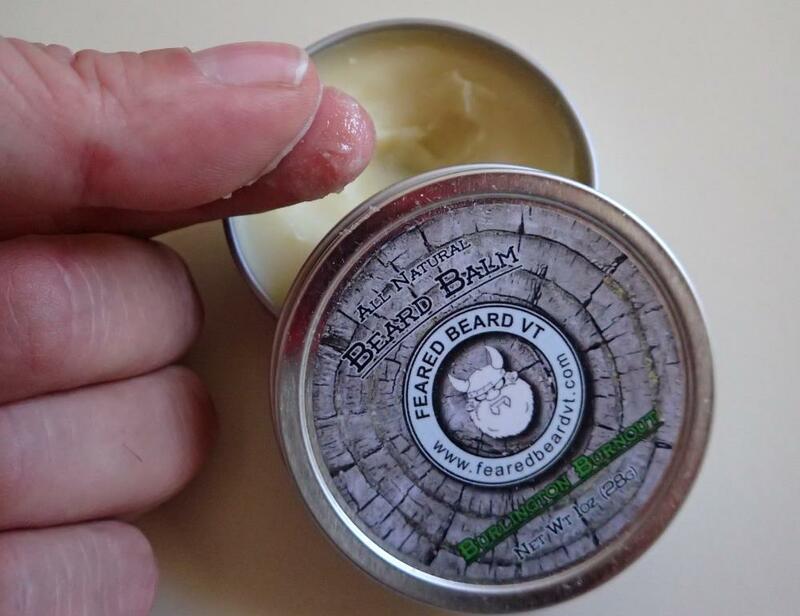 Feared Beard VT beard balms come in 1 oz. tins ($16, from their web site) and are available in such far-flung locales as Jamaica, VT, Silver Lake, CA, and Canmore, Alberta. 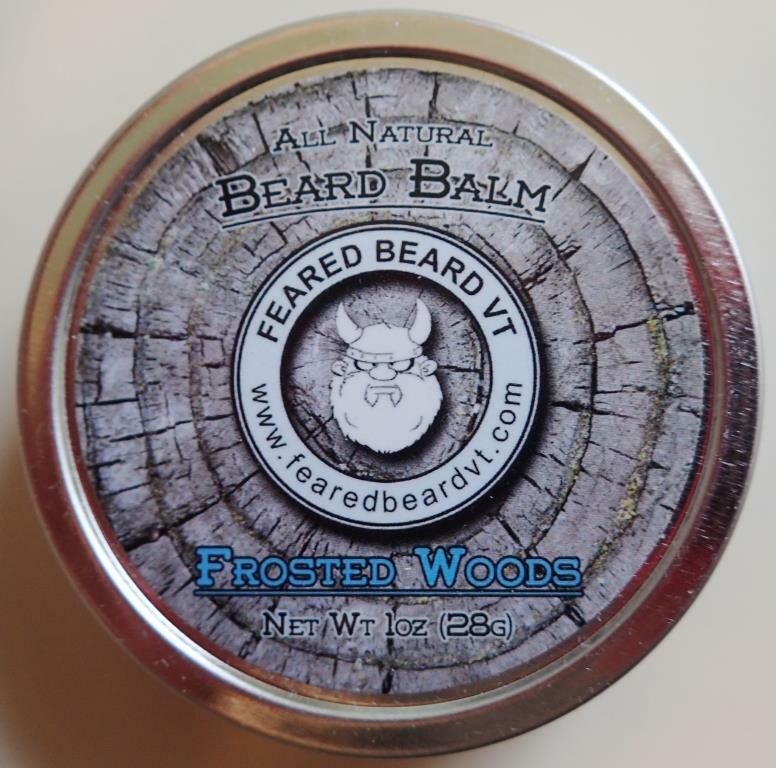 A full list of shops carrying Feared Beard VT can be found on their site. Feared Beard VT also produces beard oils in the same scents as their balms, as well as hand made soaps — saponified, cured, packed and shipped in-house — featuring detoxifying clay with cedarwood or exfoliating coffee and oatmeal with vetiver and bergamot. In addition, boxed gift sets are available, with your choice of balm and oil along with a spiffy “Fear the Beard” wooden comb for even distribution. My beard has been repeatedly frozen and has come close to bursting into flames several times over the last six months but it smells nice and remains soft and shiny, even after all that abuse. Feared Beard VT got my beard through a Vermont winter so I reckon it can get yours (or that of a loved one) through whatever it is you/they do, whether working at an office, in a circus, or even mom’s basement (get it together, man). Go ahead, grow that beard and wear it with pride. Fret not; Feared Beard VT will help keep it in good shape and smelling nice, too. Disclaimer: Feared Beard VT did not approach me to do this review. It was completely my idea. I’ve had a couple of email exchanges with Kyle Donovan, the mad scientist behind the curtain and, other than a rather nebulous and non-committal mention of a possible cedarwood-scented balm, there is nothing in it for me. We’re supposed to write about what we know and I know beards. So does Feared Beard VT.
Who’s next? 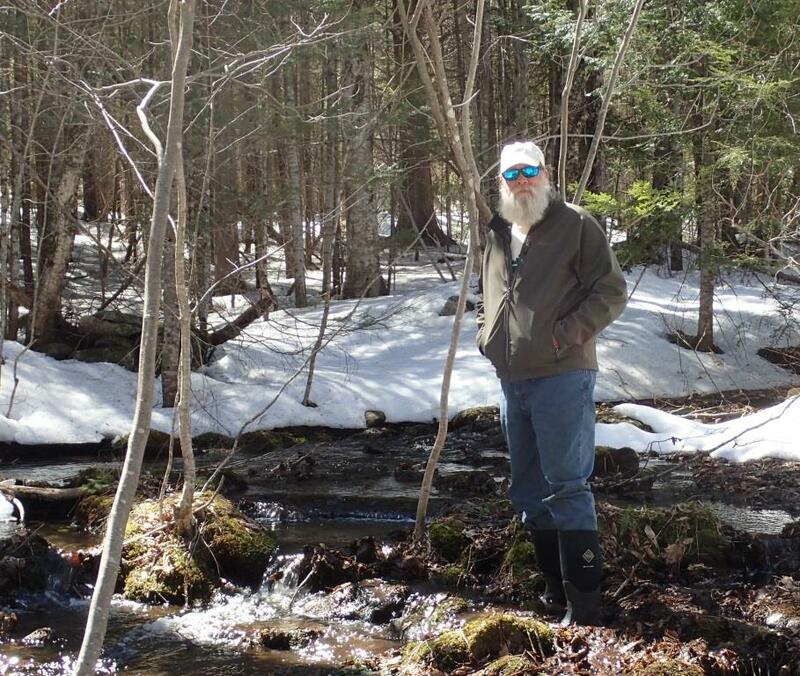 I can wreck boots and rip pants with the best of them and am equally at home putting rain suits and fly rods alike through their paces. There are people that don’t like the smell of patchouli? I don’t question the motives of those that wear it, but after reading the ingredient lists of some of these, I do question what they might have been partaking in to come up with these combinations. Sounds like munchies recipes that got a bit out of hand. Well, they don’t taste very good, I can tell you that. Smell is supposed to be an important part of taste but, in the case of beard balms, it doesn’t help at all. 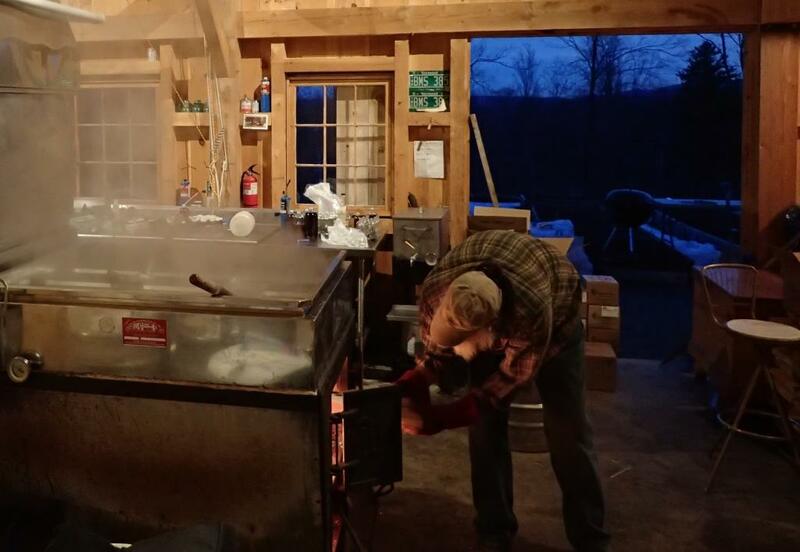 I’m agitating for a cedarwood-scented balm but starting to think maple syrup would be nice, too. I don’t know the details of the brainstorming sessions these came from but, considering they took place in Burlington, VT, I’d say someone has exercised a great deal of restraint. I do have some ideas on how to expand the customer base beyond the extremely secure and/or chai latte crowd: “Wood chips -n- bar oil” might be a good one, as well as the ever popular “6013 electrode smoke” (and you wonder how I developed that patchwork look???) Not too sure about “transmission fluid and dirt”, but I gotta put a new clutch in the truck tomorrow, so I’ll run that one past the missus. We’ll get back to ya. There is certainly something to be said for a more natural approach to what we loosely refer to as grooming but not everyone enjoys such freedom, the poor schmucks. “Wood chips-n-bar oil” has an allure to it but you and I both know that proper application requires more noise and work (gasp) than most would be willing to tolerate, even if provided with (optional) safety gear. Some of the new vegetable-based bar oils might satisfy some of the greener crowd and two-stroke exhaust beats the heck out of some of those bathroom scents that come in cans, so you might just be onto something here. I look forward to hearing what your transmission fluid focus group has to say, especially with dirt as the secret ingredient. Unfortunately, when I presented to the focus group, she just shook her head and pointed towards the bathroom… I guess we can scratch that one off. I myself have been directed by my focus group to the outside spigot and garden hose when something seemed like a good idea at the time. A mechanic friend, looking at my New Holland tractor, once said, “There’s your problem right there; it’s a Ford.” I’d be willing to improperly apply a torque wrench to a group of their engineers, too, since mine usually serves only to let me know when I’ve over-applied said torque. Snapping the head off a bolt is my other way to know, no special tools needed. Improper application of brake fluid is another thing all together, although I’ve heard it’s a little more tangy than No. 2 fuel oil. Sometimes maintenance is the best one can hope for, or at least no net loss. Good luck with that. I love my beard and would love to grow a gandalf beard. Really good blog.